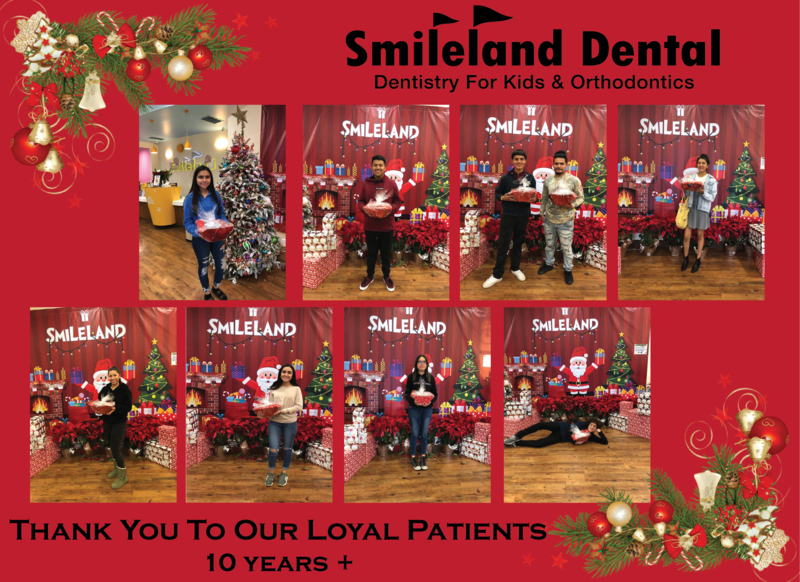 We would like to show a special appreciation this year to our loyal patients celebrating their 10 years with us. 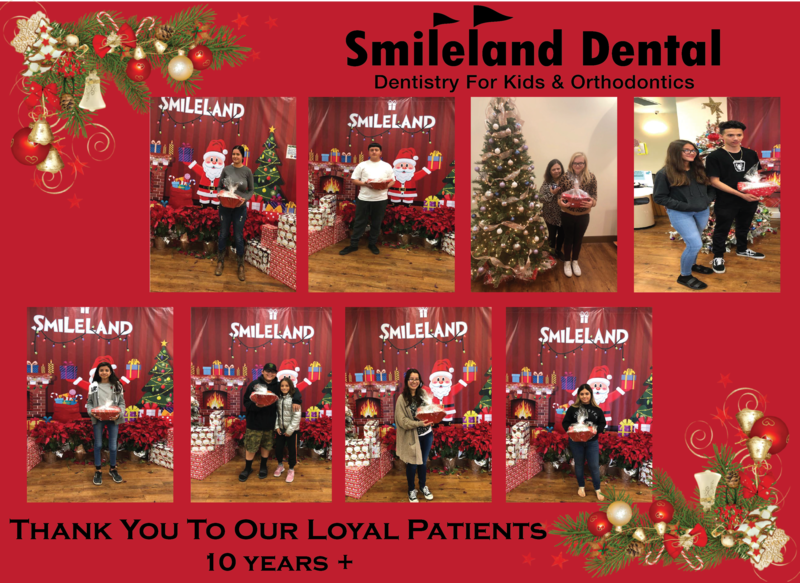 Thank you again for being part of our Smileland Dental family. 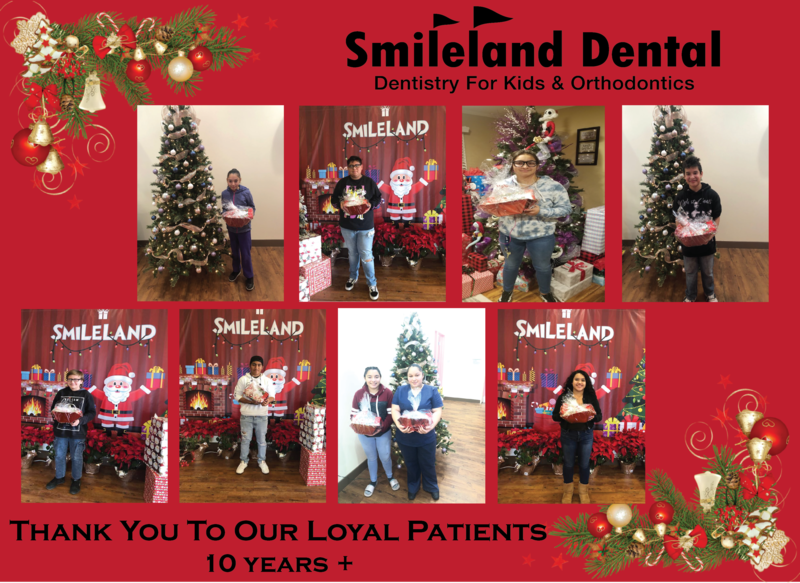 This year each patient received a box of Sees Chocolates, Tooth Shaped Cookies, Thank You Note and a $100 Gift Card to Walmart. We Appreciate all of you and look forward to celebrating your own 10 years Anniversary here, one day soon!